Who says houseboats can't be sustainable? A love for sailing and the environment motivated Australian-based Mothership Marine to engineer hybrid-power boats that primarily operate using solar energy. Its range of eco-friendly vessels includes a luxurious houseboat that has already made a huge mark in the world. 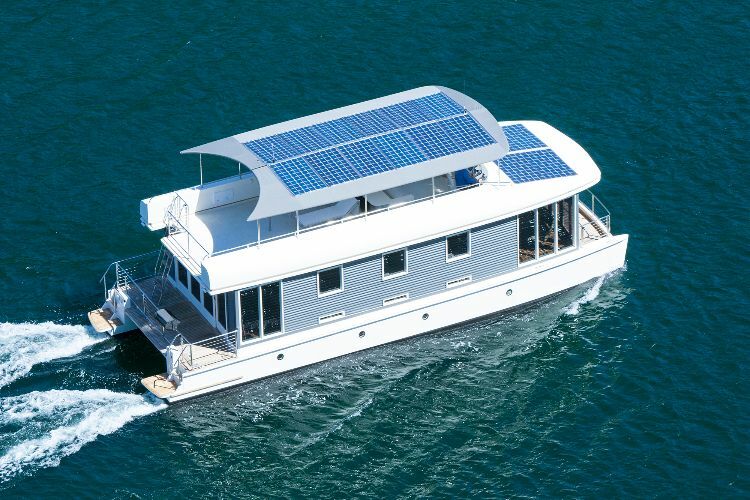 Tried and tested by its dedicated builders, the Mothership houseboat was actually the very first solar-powered boat to navigate the length of Sydney's 93-mile (150-kilometer) Hawkesbury River. Impressed? 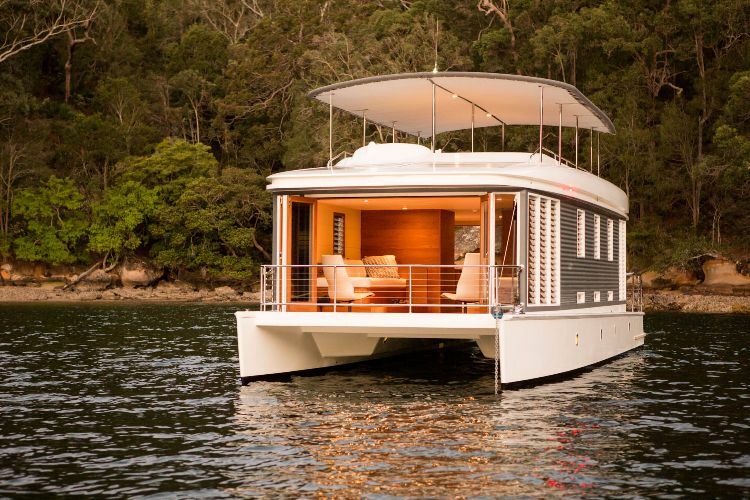 Wait until you see this houseboat from up close. In this picture you get a full view of the solar panels in action. These provide power not only for the Mothership's battery and motors, but also for all of her electrical appliances. A lucky Mothership houseboat owner can steer away all of life's problems whilst relaxing in a beautiful upper deck area. Electric motors mean that this vessel is very quiet and easy to maintain. For additional peace of mind, the luxury liner also comes with a back-up diesel generator. With double doors like these, anyone can enjoy the nice summer breeze while relaxing inside. 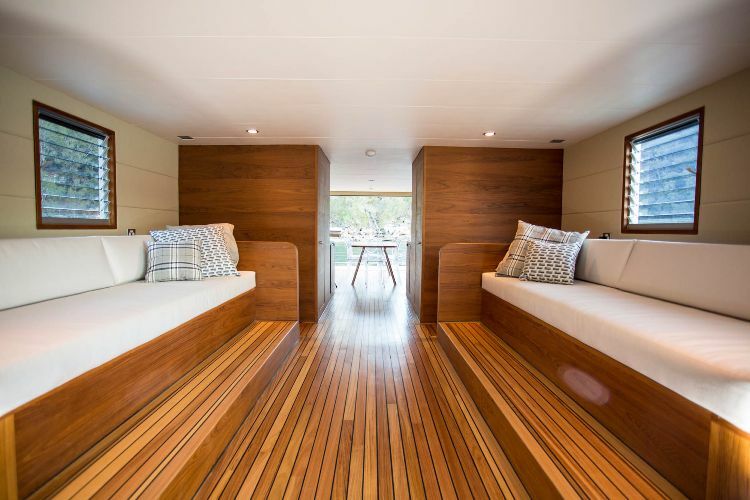 The stylish wooden interiors are sure to put anyone who stays in this houseboat at ease. Modern furnishings, ample lighting and soft, creamy tones make the majestic open-plan design fresh and welcoming. Because there is a kettle just waiting by the stove, why not make yourself a cup of tea before we head into the living room? Comprising two spacious futons and two chairs, the living area is the perfect spot to lie low and enjoy the oceanic views. That's especially true thanks to the set of glass sliding doors down this end of the house too. For the restless seafarer, there is always the option to steer the boat in a new direction using the living room console. 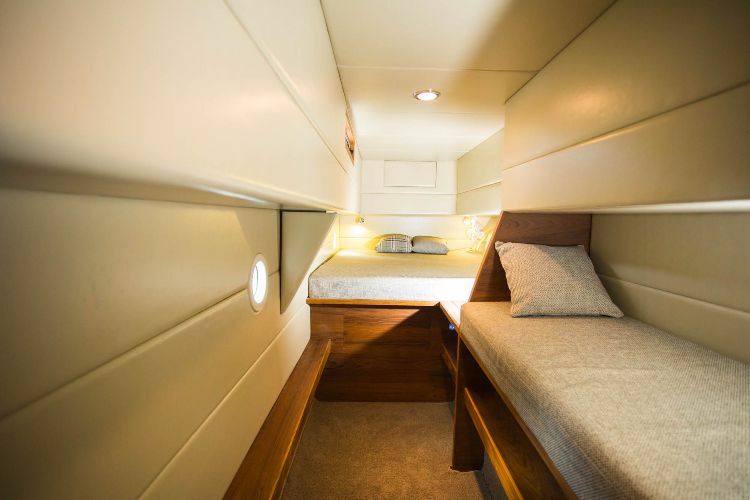 The beds and bathroom are in the Mothership's lower deck. 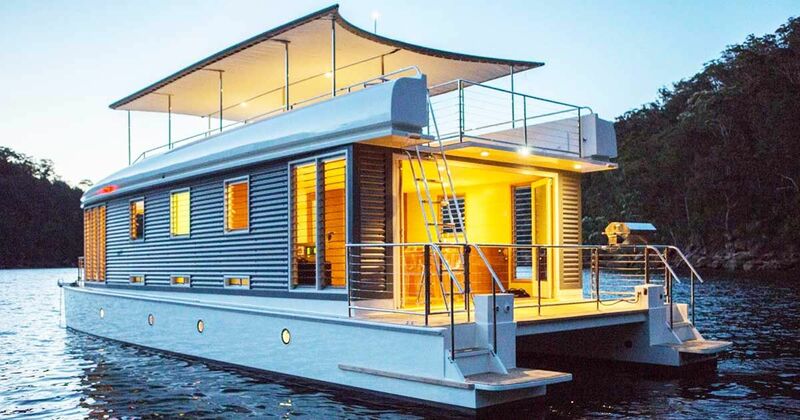 A basic model of this houseboat (the company offers three modular designs) features three double bedroom cabins and one bathroom. The double cabin offers plenty of space. 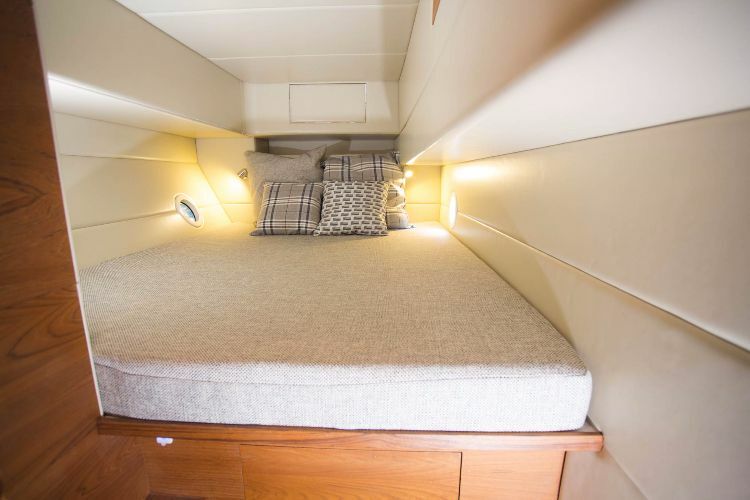 In fact, one sleeping area can comfortably accommodate a small family – so there's nothing stopping you from inviting friends and family to spend time in your brand-new seaside abode. 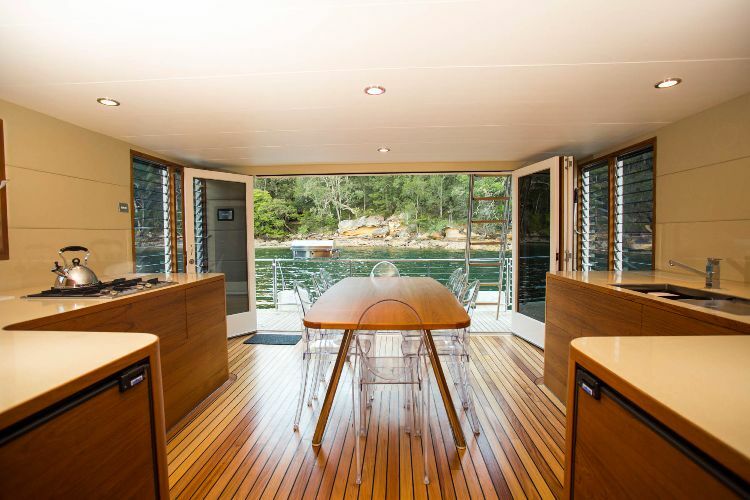 For an environmentally conscious mariner who appreciates a bit of affluence, the Mothership houseboat is a wish come true. 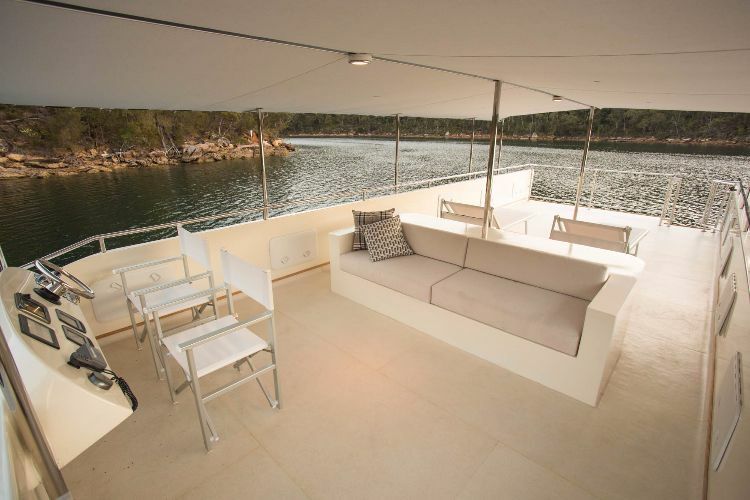 With this solar powerhouse, living in a floating dwelling is sure to be a shining experience.